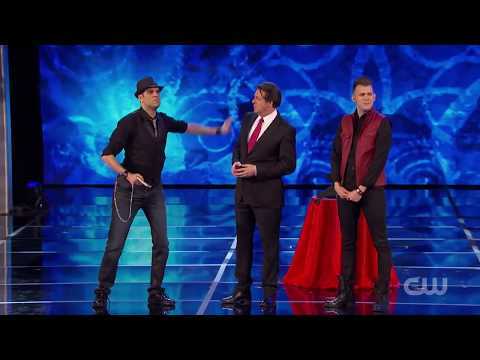 Spidey and Joel Meyers on Fool Us with Penn&Teller Dubbed "Sleightly Mental" duo, Spidey and Joel Meyers perform an incredibly funny mentalism trick on "Where There's Smoke There's Magic" episode impressing international audiences! MOST IMPOSSIBLE CARD TRICK!! On Entertainment Tonight! Welcome to this month's “Magic Monday” episode with TV illusionist and hypnotist, Spidey. Today, Spidey somehow transports Cheryl's card to a place that she would have never guessed was possible. Entertainment Tonight with Spidey #MagicMonday "Haunted Bell" We continue our “Magic Monday” series led by TV illusionist and hypnotist, Spidey. This week, Spidey makes Cheryl believe in ghosts with a haunted bell. 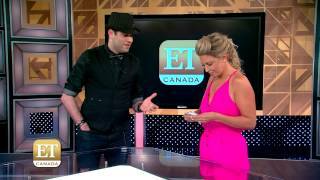 Entertainment Tonight with Spidey #MagicMonday "Card to Pocket" Entertainment Tonight Canada launches their “Magic Monday” series led by TV illusionist & hypnotist, Spidey. This week, Spidey makes Cheryl’s card disappear, with only one hand. Mentalism is the use of the 5 senses to give off the impression that one has a sixth. Mentalism uses a mix of: psychology, verbal communication, non-verbal communication and magic to accomplish incredible demonstrations that deal with our inner most thought. Mentalists have been consulted for many criminal investigations. Hypnosis has been used by surgeons to perform surgery without any anaesthetics. discovered, it was called animal magnetism and was believed to affect the natural magnetism of the human body. It is possible to put someone into trance within seconds of meeting them.